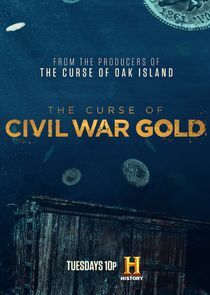 Treasure hunters Rick and Marty Lagina, the stars of History's "The Curse of Oak Island", learn of a new mystery that may rival Oak Island's mystery. Michigan native Kevin Dykstra is obsessed with a deathbed confession made by a lighthouse keeper in the 1890s about a national treasure dating back to the Civil War. The story goes that Union soldiers tracked down Confederate president Jefferson Davis in 1865 and confiscated his gold. The stolen loot was smuggled north some years later but ended up in Lake Michigan, where Dykstra believes it still remains. His quest to prove it ultimately takes him and his team to the bottom of Lake Michigan.